"Little Lulu" is the nickname for Lulu Moppett, a comic strip character created in the mid-1930s by Marjorie Henderson Buell. The character debuted on February 23, 1935 in a single panel, appearing as a flower girl at a wedding and strewing the aisle with banana peels. "Little" Lulu Moppet: Lulu is the title character and is often the ringleader of the girls. As such, she is the leader of their less formal club. Her best friend is Annie Inch. Lulu is a kind and sincere little girl who, though prone to mischief, usually ends up saving the day. Thomas "Tubby" Tompkins: Tubby, whose real name is Thomas, is Lulu's friend and the leader of the fellers. He has helped Lulu many times and has tormented her just as much. His closest friends are Eddie, Willy and Iggy, who happens to be Annie's twin brother. When they are together, they can be as nasty to Lulu as any boy would. Cousin Chubby: Chubby is Tubby's cousin that has a similar appearance to Tubby, except that he is shorter. The son of Mrs. Tompkins' sister, he is often forced on Tubby when he wants to play. Chubby became his familial nemesis after having to deal with two other cousins. Alvin Jones: Alvin is the little neighbor boy who is younger than Lulu and is often vexing towards her and her family. Annie Inch: Annie is Lulu's best friend and occasional co-conspirator in her schemes to best the boys. She is the twin sister of Iggy and the two were often at each other's throats. 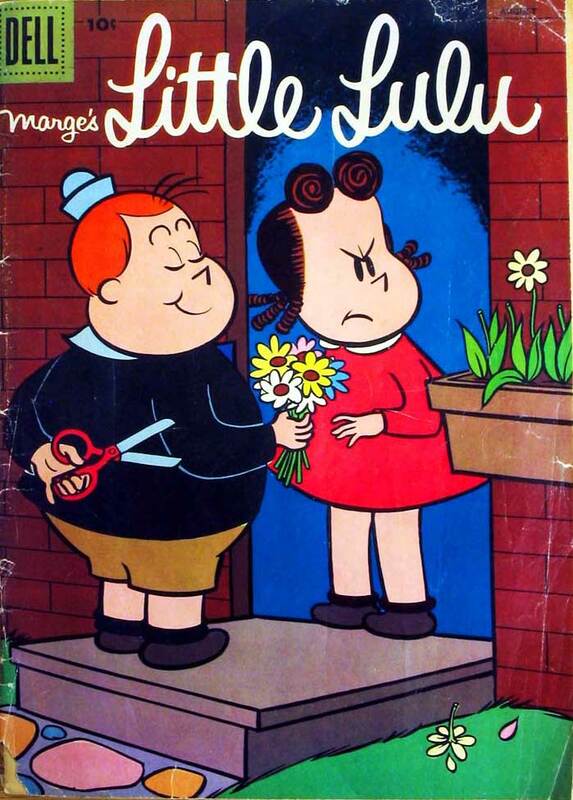 The Paramount Little Lulu cartoons were sold to U.M.&M. T.V. Corp. in 1955, along with many other Paramount shorts. National Telefilm Associates purchased U.M.&M. not long afterward, and syndicated them to television. These cartoons were released by NTA on home video in the 1980s. Today, theatrical rights are once again held by Paramount (via NTA successor, Republic Pictures), while Republic licensee Lions Gate Home Entertainment holds video rights, although any sort of official DVD reissue has yet to be announced. Trifecta Entertainment & Media holds TV rights, as does the rest of the Republic theatrical library for syndication. Many of the Little Lulu cartoons have fallen into the public domain, and are available on low-quality public domain DVDs and videos. A Little Lulu cameo was planned for the 1988 film Who Framed Roger Rabbit, but rights to the character could not be obtained in time. She was delegated to appear in the planned sequel which has been indefinitely delayed. 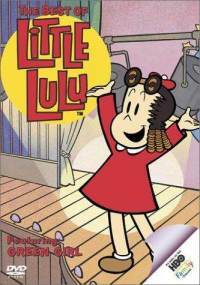 In 1995, Lulu appeared in The Little Lulu Show on HBO, voiced by Tracey Ullman. The series was produced by Canada's Cinar Films after Marge's death in 1993. The series ended in 1999 but continued to air on Cartoon Network in the United States and on Family Channel in Canada. It is currently seen on Teletoon Retro in Canada. Lulu fans hold an annual gathering at the San Diego Comic Con in which they perform a play adapted from a classic Lulu story.